School’s Out, Beaches are Open – Why Aren’t Workers Taking Vacation? Memorial Day weekend signals the start of summer vacation time, with resorts and beaches opening and promising fun in the sun and memories to last a lifetime. And with the final school bell of the year, hundreds of thousands of smiling kids swarm out of classes eager for summertime adventures. 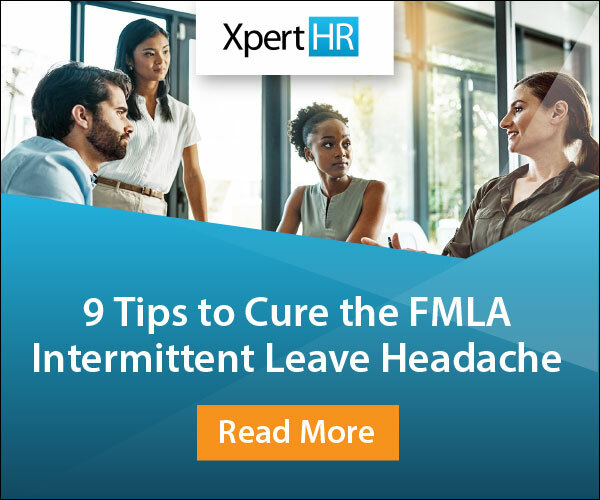 With all the focus on travel and vacations, you’d think employers’ biggest problem would be finding ways to accommodate a surge of employee leave requests while keeping their businesses running smoothly. You’d be wrong. Ironically, despite summer being the most popular season for vacations, the bigger problem for employers is that many employees are not taking enough vacation. The most recent study by Project: Time Off (P:TO), shows that 54% of American workers left 662 million unused vacation days on the table in 2016. According to the Society for Human Resource Management (SHRM), a large majority of employers in 2016 offered either paid time off (87%) or vacation leave (91%). Providing PTO or vacation leave shows employees they are valued, and employees generally work more conscientiously if they are treated well. In a 2013 SHRM survey, 77% of HR managers agreed that employees who take most or all of their vacation time are more productive in their jobs compared to those who don’t. The survey also showed that HR managers believe using vacation time results in better performance (75%) and increases job satisfaction (78%). Taking annual leave can be an important part of helping employees balance their work and life. Annual leave enables employees to attend to their personal needs, and can minimize the stress employees may experience as a result of conflict between work and family. The benefits of employees taking vacation accrue to employers as well. Employees who take regular periods of annual leave are less likely to be absent from work because of illness or accidents. Taking regular holidays helps employees rest and recharge their energy. This can have the effect of reinvigorating them and improving their morale and productivity. An employer that follows best practices in instituting its annual leave policy could gain a reputation as a considerate employer and as an employer of choice. This can encourage talented individuals to apply for positions and improve retention rates. If taking vacation is so beneficial, why aren’t employees using their earned leave time? The average employee’s vacation use was only 16.8 days, despite earning 22.6 days of vacation. This is part of a trend beginning after 2000, when vacation usage dropped from the 1978-2000 average of 20.3 days per year. According to the P:TO study, 26% of employees surveyed said they fear taking vacation might make them appear less dedicated at work. Another 23% responded that they do not want to be seen as replaceable, and 21% said they did not take their vacation leave for fear they wouldn’t be considered for a raise or promotion. It also can be challenging for employees to return to work after a period of annual leave. For instance, many workers expressed worry about the amount of work they will come back to (46% of women; 40% of men). Refusing to take vacation also can be an indication of a workaholic employee, particularly if he or she exhibits other signs of this behavior. Employers should encourage employees to plan and take annual leave to help maintain employee welfare and ensure employees do not build up excessive leave at the end of the year. This starts with leave policies that create a culture of supporting employee wellness with an appropriate balance between work and home life. The employer’s expectation that employees will make full use of their annual leave entitlement. The annual leave procedure should determine which individuals are responsible for encouraging employees to take regular breaks. Typically, this responsibility is assigned to supervisors. Employers should consider whether the workload of employees who are on annual leave will need to be covered. Although some of the absent employee’s work can be shifted to coworkers, the employer might consider arranging temporary outside coverage to avoid placing too much additional demand on an absent employee’s colleagues. Another good practice is to schedule a review session on the first day back at work. The employee’s supervisor can use the meeting to talk through any issues the employee might be concerned about, bring the employee up to speed with ongoing projects, and determine whether he or she can do anything to help the employee settle back into work. The #1 way employers can encourage employees to take their vacations, however, is by example. When employees see their managers and supervisors planning and going on vacation, it sends a clear message: Employees’ wellness and work-life balance are valued, and having fun creating lasting memories on the beach with their families won’t limit opportunities at work. What kind of vacation or PTO policy do you use? How do you encourage your employees to take their leave? Let us know by leaving a comment below. 2 Responses to School’s Out, Beaches are Open – Why Aren’t Workers Taking Vacation? What if I am a school teacher and my principal says that I cannot take vacation during the school year or in connection with a holiday. Thank you for commenting on the vacation article. 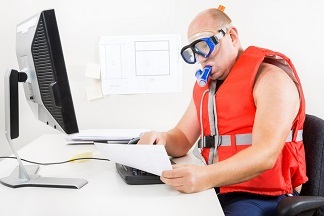 Vacation policies are set by the employer and can vary greatly based on a number of factors. Whatever your school’s vacation use policy is, it is in your best interest to make full use of your vacation benefits. Doing so can improve your job performance, increase your job satisfaction and help with your work/life balance.